Most Central Banks in the COMESA region relies on a differentiated mix of off-site monitoring procedures and on-site examinations to identify risks in banking institutions. These approaches have been supplemented by new statistical models to predict banks with early stage of capital distress and banks’ rating down grade or upgrade. Banks failure have significant cost in terms of the adverse impact on a country’s financial stability and economic growth especially in developing countries where the financial markets are less developed and banking institutions dominates the financial system. Aware that early detection of distressed financial institutions helps to manage timely supervisory interventions, and allow the institutions to avoid failure, the COMESA Committee of Governors of Central Banks, in March this year, directed the COMESA Monetary Institute to build the capacity of their staff in this respect. 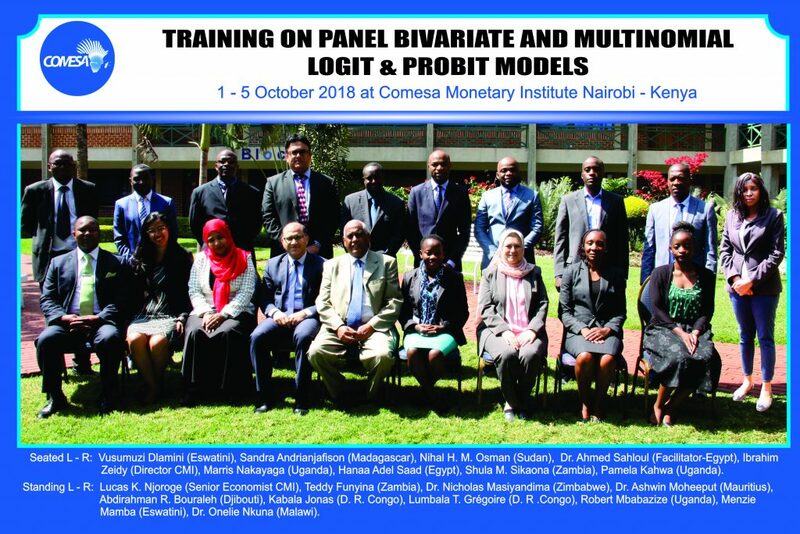 Subsequently, from 1 – 5 October 2018, the CMI conducted a training programme on “Early Warning Models to Avoid Financial Distress in Banks: An Application of Multinomial Panel Data Analysis” for COMESA Central Banks in Nairobi, Kenya. The objective of the training was to equip participants with econometric skills to build Early Warning Models to avoid financial distress in banks using panel data analysis. Delegates from eleven Central Banks of COMESA Member States namely: D R Congo, Djibouti, Egypt, Eswatini, Madagascar, Malawi, Mauritius, Sudan, Uganda, Zambia and Zimbabwe attended the training. 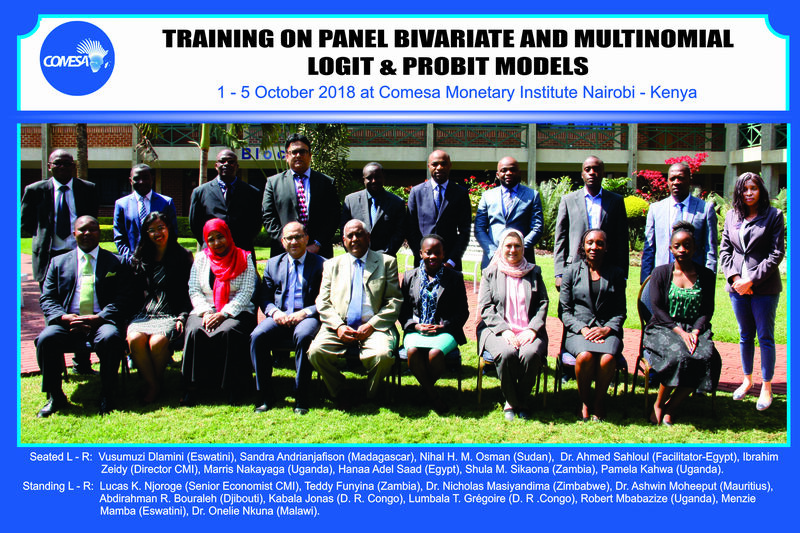 In is address, CMI Director Mr. Ibrahim Zeidy, said the training on multinomial panel data analysis was timely and an important tool to predict banks with an early stage of distress.